Yes you heard right, Ken Foree is our 14th and final guest for our lineup in 2018 but what a final announcement this is. I’m sure you will agree with me Ken is a fantastic addition to what is already an amazing lineup. We are all completely thrilled to have Ken join his SWAT team member Scott Reiniger and everyone else at WOTD for what will be the event of the year right here in the UK. 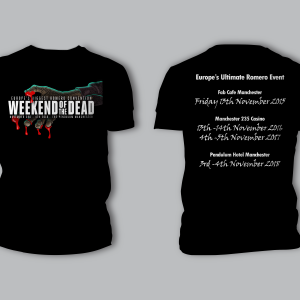 This now makes 8 fantastic guests from Dawn of the Dead making the 40th anniversary that little bit more special. 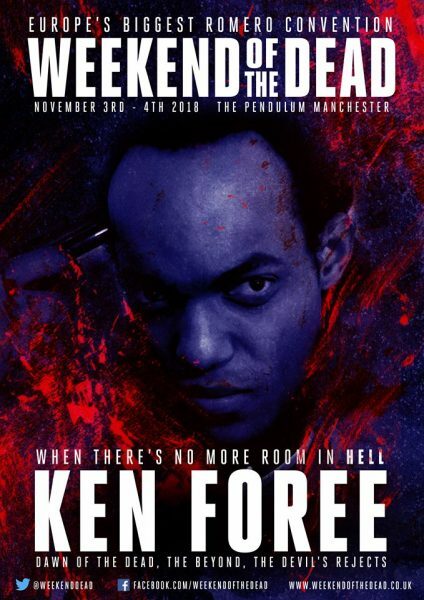 Ken Foree’s role as Peter Washington in “Dawn of the Dead” initiated a long and iconic career in the horror genre. His line “When there is no more room in hell, the dead will walk the earth” has become an anthem in the horror genre for decades. Mr. Foree was named Number 4 in Empire Magazine’s Greatest Heroes list for 2014. His work in the horror genre includes “Halloween”, “Texas Chainsaw Massacre” and Rob Zombie’s “The Devils Rejects” and “Lords of Salem”. Ken has also appeared in over 50 feature films and episodic television shows and starred in the Nickelodeon comedy series, “The Keenan and Kel Show” as the father of Keenan Thompson. Mr. Foree has been kept busy writing and producing international horror and sci-fi movies. He is executive producer and co-writer of the upcoming feature, “The Totem”, based on the award winning David Morrell novel. Ken was associate producer on the 2009 Serbian horror movie “Zone of the Dead” and is producer and co-writer on the planned 2018 sequel, “Wrath of the Dead”. Ken has also starred, executive produced co-produced and has been associate producer for over a dozen films. He starred and co-produced in this year’s new releases of “The Rift”, “The Midnight Man” and “Blood Brothers”. The trailer for “Blood Brothers” featured Ken and was highlighted in Entertainment Weekly. From Japan to Europe and throughout the United States. When film festivals, audiences love the Q & A’s, backstage stories, lectures and interaction with this legendary horror star.